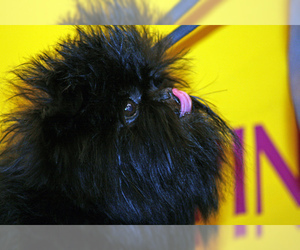 Overview: The Affenpinscher, whose name translated from German means “monkey-like terrier”, is one of the most ancient of all toy breeds. 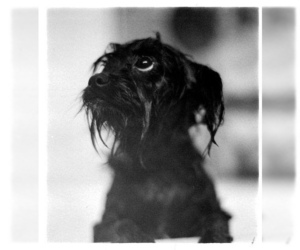 Also known as the Monkey Pinscher, the Monkey Dog, the Monkey Terrier, the Black-Mustached Devil or simply the Affen, this is a lively, sturdy little dog whose intelligence, disposition and size make it a wonderful house dog and companion. 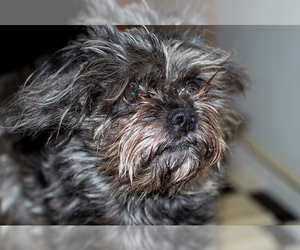 The Affenpinscher has a neat but shaggy appearance with an endearing facial expression accentuated by a flat face, a prominent chin, bushy eyebrows, a mustache and a beard. 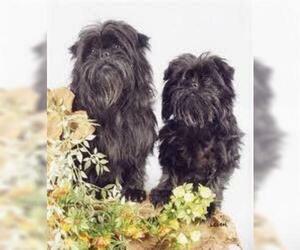 The Affenpinscher is known for being courageous, reliable and inquisitive. Legend has it that one Affen faced up to an angry stallion, and another confronted a grown grizzly bear on a trip with its owner to the Alaskan wilderness. 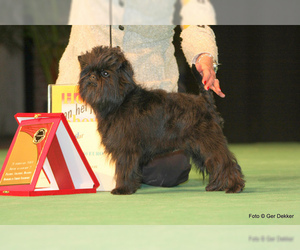 The Affenpinscher was recognized by the American Kennel Club in 1936, as a member of the Toy Group. 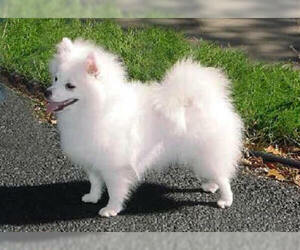 Character: Affenpinschers are very intelligent, loyal, alert, and friendly. 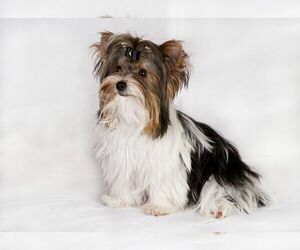 Affenpinschers are small dogs who carry themselves with great confidence.Affenpinschers are somewhat territorial when it comes to their toys and food, so they are not recommended for homes with very small children. 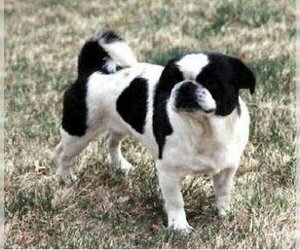 This dog is mostly quiet, but can become very excited if attacked or threatened, and shows no fear toward any aggressor. 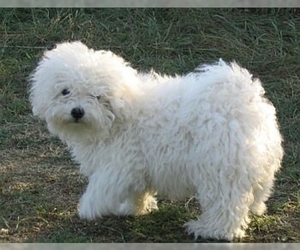 Temperament: This breed gets along well with children, other Affenpinschers, and even other types of household pets. They are often alarmed by unknown visitors, however. 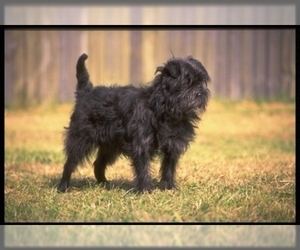 Affenpinschers are tiny, but they have large personalities. They take themselves very seriously, and require everyone else to take them seriously as well, resulting in humorous interactions with people. 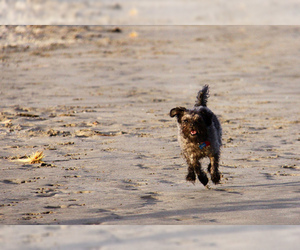 Their terrier blood makes them spunky and sassy, and many owners wonder if these tiny toy dogs know just how small they really are. Mostly seen as “purse dogs” by ladies around the world, the Affen is a lovely travel companion, easy-going and accepting of new situations. 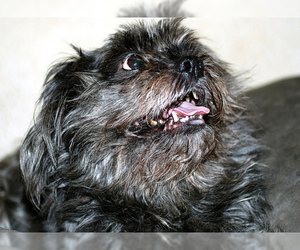 Just keep an eye on the Affenpinscher about town, this breed can be mischievous. 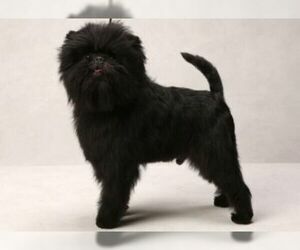 Care: Maintaining the desired appearance of the Affenpinscher requires a lot of grooming. 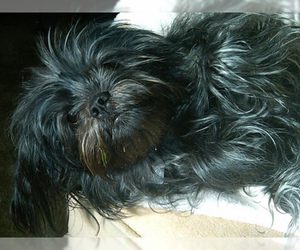 They need to be brushed several times a week with both a slick brush and a metal comb. The Affen's coat should also be stripped several times a year, in order to maintain it's characteristic feel. Stripping of the coat involves pulling “dead” hair out by hand. Professional dog groomers can teach this simple technique. 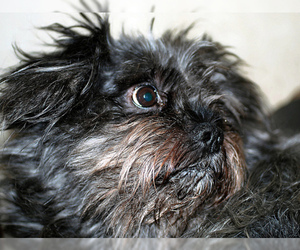 If the dog does not naturally wear his nails down, regular nail clippings are a must, as are monthly ear cleanings. 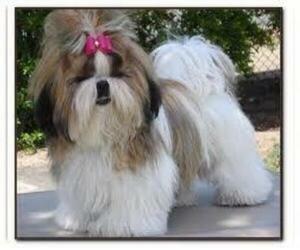 Training: Affens are generally people-pleasers but can be stubborn, so early training is key to having an obedient dog. 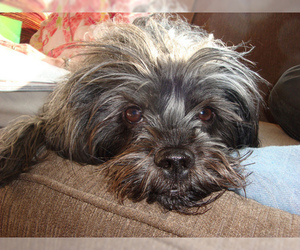 They respond best to positive reinforcement, with lots of treats and affection. Consistency and a gentle hand are required to prevent the Affen from becoming distrusting of people. 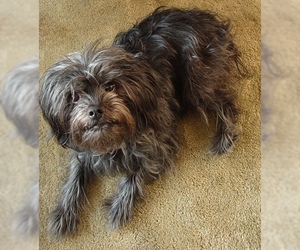 This tiny dog, with a penchant for mischief makes a good therapy dog. They travel well, adapt well in new environments and make people laugh, making them an ideal visitor for lifting the spirits of the elderly or the sick.